What causes Eyelid Skin Cancer? Excessive exposure to sunlight is the single most important factor associated with skin cancers on the face, eyelids and arms. Fair-skinned people develop skin cancers far more frequently than dark-skinned people. Skin cancers may also be hereditary. What are the types of Eyelid Skin Cancer? These are the most common types of skin cancers, which enlarge locally and usually do not spread (metastasize) to distant parts of the body. However, with time, if not completely removed, either type will invade adjacent structures. These types are also slow growing. Thus, when detected early and treated in a prompt and appropriate manner, there is a better chance of removing the tumour completely and minimizing the amount of tissue affected by the carcinoma. These are more serious forms of skin cancer because they may metastasize. These types of skin cancer require prompt, aggressive treatment because of the threat of early spread. 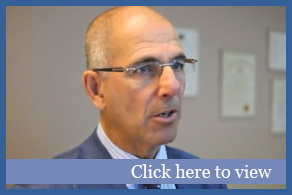 Treatment of any type of skin cancer must typically follow two principles of management. The first is complete excision of the lesion, and the second is reconstructive surgery. Complete removal of the tumour is critical to minimize the possibility of recurrence, which is even more difficult to manage. The specimen is sent to pathology to ensure that the entire tumour has been excised. Once the tumour has been removed, reconstructive surgery is usually necessary to make a new eyelid or repair the defect. Occasionally, the wound can heal on its own in a process called ‘granulation’. 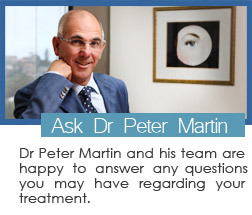 Dr Martin will specifically tailor the operation to the defect that is present following removal of the tumour. Some discomfort may be experienced and swelling and bruising may also be present. This will usually resolve within 2-3 weeks. As each case is different, please ask Dr Martin about the post-operative results that you should expect for your condition. Sutures will also be present and these will need removing about a week following the surgery. Any form of therapy for eyelid skin cancer will leave a scar. However, Dr Martin will always make an effort to minimize scarring and obtain optimal cosmetic results. After surgery, the healing process may take several weeks or months. Once the wound has healed, follow-up appointments with Dr Martin are necessary to ensure the skin cancer does not recur. Should there be development of a new cancer, it can then be detected early and treated promptly.